- There is not included battery in the package list. - It needs work with raspberry pi and memory card. You can click this item - ID: 1041862 to refer or buy it. 1. The raspberry pi smart car set learning, entertainment, programming, DIY in one. 2. 4WD smart car adopts a free welding installation, a screwdriver can complete the assembly of the whole vehicle and brings a better sense of user experience. 4. Real-time transmission of high definition video: HD camera, 480P resolution, manual adjustment of focal length, support the output of two formats: MJPEG, YUYV(default). 5. 4WD smart robot shield also support four popular controllers; Arduino-UNO, Raspberry PI, STM32, 51mcu. 7. Support programming language and Python. Support bluetooth 4.0 + wifi dual communication. 8. Provide download links about the product for reference. 10. 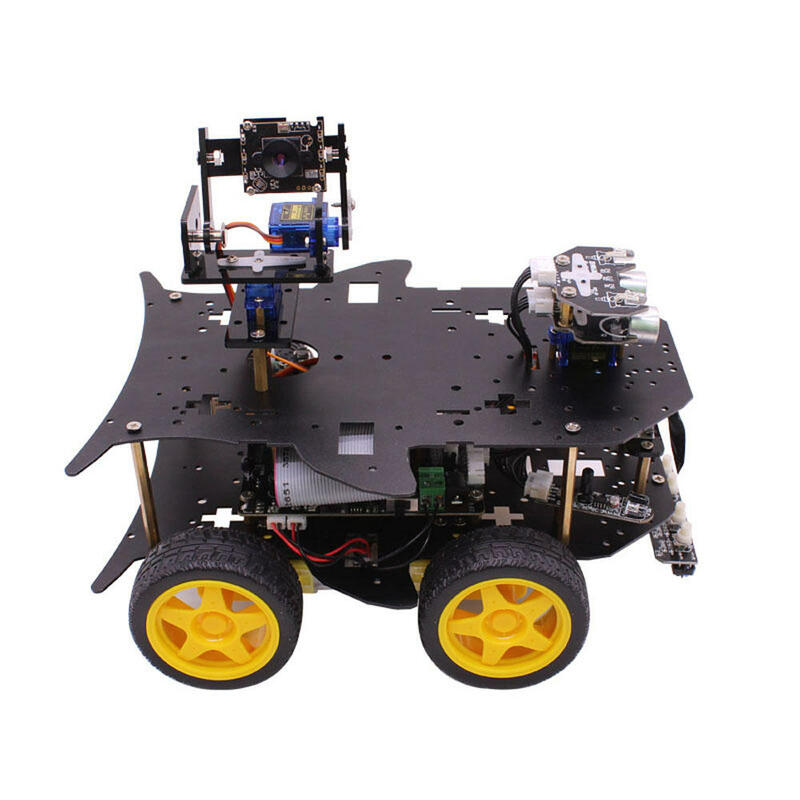 Powerful hardware configuration, four pcs DC motor, aluminum chassis, metal motor mount and BST-4WD expansion board, etc. 2. Remote login to the Raspberry Pi system, the Raspberry Pi is enabled by default to be a bluetooth control process. You need to close the bluetooth process, open the TCP_Control process, and then open the host computer to select the 4WD Raspberry Pi.